It is the year 2059. 40 years have passed since the last Golden Age of superheroes in the 2010’s. Today, the original heroes and villains are old, most retired or semi-retired. They are barely in good enough physical health to perform the fantastic feats that they originally did back in their day. This generation of heroes have been coined “the old-timers”. Meanwhile, a new generation of “hip”, youthful heroes and villains have been appearing rapidly, challenging the mantle of the old timers and sparking a rivalry between the two generations. This new generation have been coined “Newbies” by the old-timers…. It takes place in Tokyo, Japan. A city with almost 2 centuries of rich history, in an even more Ancient country with even richer history, Tokyo has long been the center of culture, economy, and well, everything in Japan, as it is the nation’s capital city. Japan has been a technological superpower long before 2059, and they currently have even more advanced technology that challenges America. And this can’t been seen in any place more than Tokyo. Now, because of this boom in technology, and the recent resurgence of superheroes, all scapes of Tokyo are beginning to shift drastically. The question is, can everyone survive the coming threat, and live to see this new age? 1.) No OP or ridiculously powerful characters. 3.) Please be respectful and civil with all other players OOC. 4.) There is no limit to the amount of characters you can have, as long as they are all well-written and yo can guarantee that they will have an impactful/meaningful presence in this RP. Powers/abilities: Can control and screen linked to satellite Internet and tv, and can also mind control people. Appearance: He wears a ratty three piece suit and a paper bag over his head with a crudely drawn smiley face on it. Personality/Bio: The Citizen is an activist to the extreme. He believes that humanity's creative and artistic prowess is being silently smothered by brainless television programs, a problem he intends to rectify by any means necessary. It's currently unknown to most people if he even exists as physical person, or if he is some manner of AI, or supernatural entity. 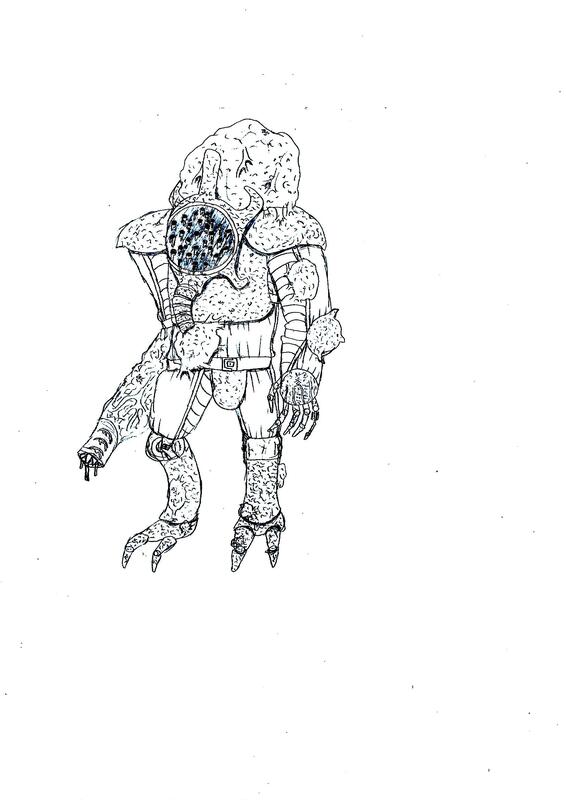 Powers/abilities: Depth Charge wears a large suit of power armour designed to resist the high pressure of the deep ocean as well as cold (hypothetically it could function as a space suit as well, though it would require some modification). His claws posses incredible crushing strength they are also capable of piercing the hulls of ships. Additionally, his suit has a chest mounted Uni beam device, and miniature versions located in the arms, although the device is powered on Uranium instead of Vibranium (due to cost Implications). 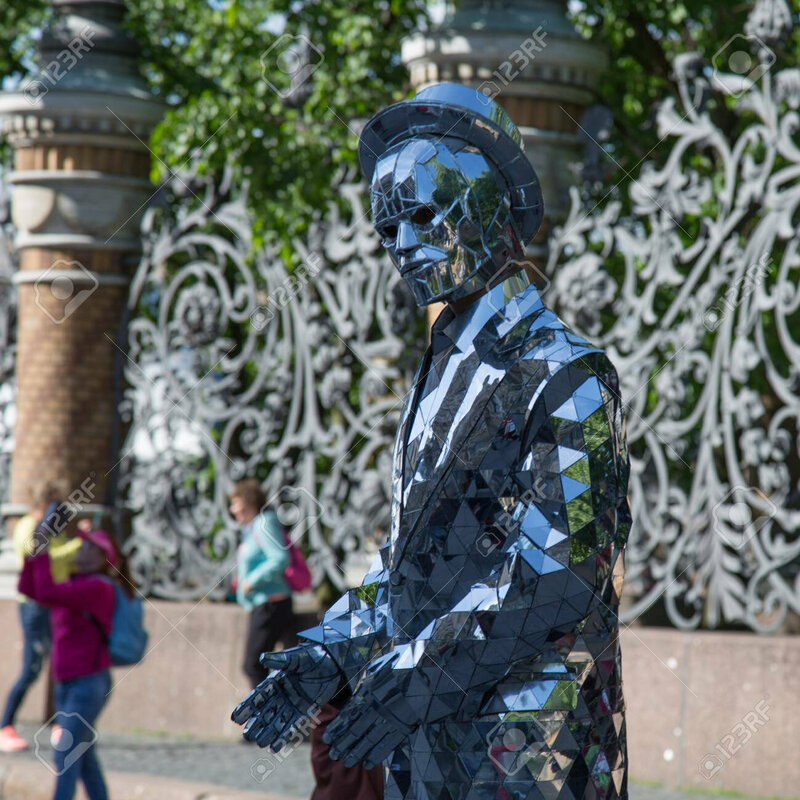 The suit is built from a dense metal alloy with radiation insulation both internally and externally, as well as a vocal modulator to conceal his actual voice. In order to cling to the underbellies of ships the feet have powerful electromagnets, as well as claws if the hulls aren't magnetic. Outside of his power armour Depth Charge possesses a large submarine, whose exact whereabouts are unknown although is probably somewhere in the pacific ocean. The submarine is armed with an array of Torpedoes, Harpoons, Sea Mines, and the occasional Laser beam. He also possesses a skilled submarine crew who function as his on site Henchmen, as well as his secondary crew known who infiltrate and disguise themselves as dock workers, they are lead by his Chief Second-in-Command "Harbour lights". Personality/Bio: Whilst not much is known about the "Man behind the mask", not even the LOV(APII) themselves; some speculate Depth charge was a disgruntled sailor (due to his legs being prosthetic, and his knowledge of shipping routes, and naval practice second to none). Like most Villains from the LOV(APII) Depth Charge is a classical megalomaniac, he delights in creating strange nautical themed deathtraps (complying with League operating parameters circa 1952) for the Hero to disarm or face them head on. Despite being villainous Depth Charge has a deep love for the sea and all the flora and fauna it encompasses, arguably one of his motivations for becoming a villain was due to worrying levels of pollution. Unlike Old Father Time, Depth charge whilst not being inactive has been able to remain under the radar since the LOV(APII) unofficially disbanded; generally hiding from the ire of Pacific based superheroes, attacking Whaling ships, and raiding the occasional fishing vessel and or cruise ship. Powers/abilities: Due to the presence of Whale DNA in his body Bayonne Possesses tremendous physical strength and size, he also has a highly flexible ribcage which enables him to hold his breath for several hours (as well as survive without the need of a pressurised suit in areas impossible for normal humans). There is also a layer of blubber underneath his skin which enables him to stay warm, as well preventing small arms fire from severely damaging him. However, due to his large size Bayonne cannot move very fast, and requires breathers after running for prolonged periods of time. Bayonne also wields a large lantern on a staff, light itself is coated in ballistic glass (which he uses to bludgeon his opponents) although detaches to reveal a Harpoon (which can run an electrical current through it to electrocute his foes). 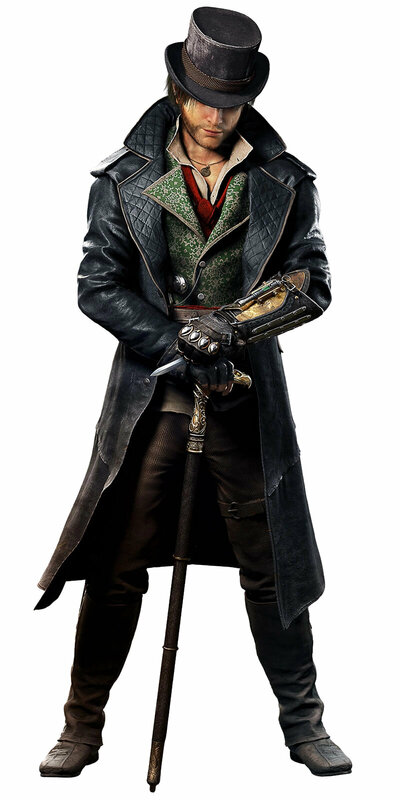 Personality/Bio: Bayonne was originally a Dock worker in Marseilles, though he was later discovered by the League and recruited after Depth Charge learnt of his illegal weapons racket that Bayonne ran (supplying weapons to Mercenaries, Assassins, and Terrorists all over the world). After serving under Depth Charge for a few years and cemented his position as his second-in-command Bayonne volunteered in an experimental program to increase his physical strength and durability, though successful the program had permanently merged Bayonne's DNA with that of a Blue whale. Thoroughly impressed by dedication of his subordinate Depth Charge made him leader of his infiltration team and consequently dubbed him "Harbour lights", it is also rumoured that in the event of Depth Charge's death or disappearance Harbour lights would become the new leader. Additionally, Harbour lights is extremely well versed in import and ,export laws both legal and illegal, often researching the laws of local areas weeks sometimes months in advance. Harbour lights is a relatively prickly individual, often harbouring an inherent trust or dislike towards outsiders, despite this he is fiercely loyal to Depth charge and seems to show a deep sense of affection and understanding with the Infiltration team. Similar to his leader he shows a deep respect towards the ocean, unsurprisingly he has a particularly strong affinity with whales. Since sadies basically taken over in the original klaws going to be my main in this rp. Gender: looks male; secretly controlled by a girl. Alliance: whoever it decides to side with. Powers/abilities:can copy others abilities and has multiple forms and hidden wepons in its android body. Can also split its body into multiple forms. Personality/Bio: a ruthless and merciless hunter Pay him enough and he doesn't care what side your on or what you believe; all he cares about is the money and power. Works better alone and has no problems playing dirty to win or achieve his goals. Powers / abilities; pretty much a mechanical genius. She's always wanted powers but since she was never born with any she learned robotics and created an avatar to act as that Role while she can control and program it. She's a bit of a damsel in distress but to get the name out she had planned all but one of those situations and gotten herself in trouble so she would be saved by klaw. quick question how disgusting can I make a character? What do you mean by disqusting? When I first used Sadie she was a jigsaw type killer and now she's even worse. Powers/Abilities: Itten Momen have the ability to fly and when an Itten Momen kill a living person the person’s clothes becomes another Itten Momen. Appearance: Samurai Armor filled with Itten Momen, armor disguises the Itten Momen. Personality: Survivors from a long forgotten age, this collection of beings wander the human world without purpose, waiting. "Smooth Criminal" A dot appears wherever Em desires as long as it’s a flat surface and the dot acts similarly to a laser pointer. The dot pulls the user with their back facing towards itself and if traveling fast enough, a portal forms upon impact with the dot. The speed of travel can be adjusted by the user but faster speeds wear out the user. The more distance that is traveled, the longer the travel period within the portal is. Haltson can choose where he appears from these portals and close these portals immediately after he’s traveled if he desires. Weapon: "Don't Stop 'Til You Get Enough"
The user can use this badge to summon stop signs and control the summoned ones telepathically within 4 yards (about 3.7 meters) The user can alter the text to their liking as long as it's under 4 letters. It can summon parts of the stop sign instead of the full sign if the user desires. The signs function as a blunt force object Em uses. The more signs or parts of the signs being controlled at once causes the control to be very hard for the wielded. Stolen from one of his victims. Appearance: Appears to dress formally by wearing a smooth white suit with a blue dress shirt and tie underneath. Personality/Bio: After having committed a series of murders many years ago, he managed to trick the US legal system and place himself into the witness protection program as the sole witness to the case. Due to his unorthodox ability, no suspicion was placed on him as it was assumed his power was only to send himself away to escape the presumed murderer. With fears of the murderer going after him, he was cast away to live under a new persona. With his new persona, he went to live peacefully by himself for years until, under a compulsion to travel, he decided to live in Japan. Knowing not a wink of Japanese, he intends to fumble his way around his surroundings and learn how the society works.